First of all, this is a concept from like two years ago, there was a guild post about it. However, I didn't have the tools to make it a reality. This time I'd like to give it another shot. First of all, I'd like to know whether players of the server are interested to try this style of roleplay out. The main philosophy the guild is going to adapt is creating an environment where everyone is involved and still have choices of character to play out. If you ever wanted to find your way in the world of medieval society and earn respect and glory throughout it, this is the place. If you fancy the idea of your accomplishments meaning something and having something to show for it, Beaugarde is the place. The guild is still not open yet because the base still needs work onto it, that is why we are recruiting players who want to support me with building and dungeoneering as well. In the begin, we won't involve the high ranking environment. We will start low until we have enough members for everything to play out. The more cogs we have, the more advanced the machine can be. The Kingdom of Beaugarde was originally a village. It was an entity connected to the meteor that fell onto the outskirts of the village. It helped the Saddleforth brothers to grow the wealth and power of the village. It took them years but before they knew, it became a flourished kingdom. However, the kingdom isn’t accepted with the open arms to the neighboring kingdoms. Now the kingdom has a lot of enemies to defend, lands to conquer and keep the peace for the population. Once upon a time, there was a village between a large forest. During the darkest night of the moon cycle, everything was almost black. The village's torches were wavering as if it's fighting against the darkness. The villagers were inside, sleeping soundly because it was finally dark inside their houses. The moon was very big and it shone through their curtains. so it was finally the night they could sleep a lot easier. Suddenly, the bell screamed soundly and the wave spread through the village. The guards are running around, screaming. The villagers ran towards the town hall. A white stripe appeared at the sky, it was falling towards the ground. The meteor fell into the forest. The trees were burning, you could hear the screams from the local fauna. The village was in a panic, the mothers were crying, the fathers were outside, trying to repair the collapsed houses. It went on until the morning, where everyone could see the damages. Luckily there were no corpses around. Everyone was safe. The elder family Saddleforth and some guards went to see the crater, it was a big, diamond-like meteor. The Saddleforth decided to put a cloth on it, to hide it from passengers. Some months later, where they begin to farm. Everyone was working on the field, the sons of saddleforth's Erwin and Frank were repairing the aqueduct, suddenly a blonde lion with sapphire eyes walked towards them. The brothers were scared, they could not move due to the shock. The lion walked towards them, his gaze didn't turn away from them. His sapphire eyes looked toward their eyes. It was as if they froze themselves. Suddenly, the lion stopped and sat on the ground. It opened his mouth and began speaking "What are you doing, what's that beautiful thing". It was referring to their aqueduct. The brothers started, the younger one mumbled: "It spoke!". The older brother adapted to the situation "That? That's the aqueduct, we use that to lead the water towards our farm". The lion quickly asked another question again "Farm, what's that?". The younger brother laughed "Don't you know what's a farm? But I guess you're still a lion, you don't need to farming because you are hunting the animals." The lion startled "Why do I have to hunt? I won't do such a cruel thing." with a slightly sad face. The brothers were confusing, they turned their face away and close to each other. The older one rose his eyebrow high and lets a sigh out while he tilted his head in alternating left and right arcs. The younger brother laughed and told the lion to follow. He ran towards the village center, screaming "There's a lion! There's a lion!". The others suddenly ran towards the center, the guards gathered together and ran towards the opposite direction of the younger brothers. The lion was running along them, the grasses were high but his golden mane was like the dandelion between the grass field. But the others weren't able to catch that beauty, it's as if they could not see him. They were left with confusion. The guards screamed towards them "Where's the lion?!" In the center, an elderly, one-legged man walked towards them "Brats, it's you again like always." The other walked towards them angered. Their speech was merged into others. They're just screaming towards them. The brothers looked towards each other. The lion busted out of laughing and walked out, disappearing into the forest. The brothers were caught and they gave them a shovel and made them shovel the fields. One week later, they put the seeds into the field and watered them from the aqueduct. They lived happily to each other while the lion looked at them at the distance. Every day, he smiled towards them, and even he sometime could burst out in laughing from the commotion the saddleforth's brats caused. He loved them, it was as if he woke up in an area totally unknown to him and the village was only one thing he could enjoy so his fears disappear slowly. The seeding period was over, the villagers continued with their lives, sometimes the lion went to the sleeping room of the brothers and talked with them. The brothers told everyone about him, they didn't believe them, the brothers kept the story going on. the village was big, between the city, there were five clans, between the leading clad, the Saddleforths, there was one clan studying the magic, other the Holy, and the guards. But there was a guild as well, they were tasked to maintain the trade and kept contact with the merchants and craftsmen. The Saddleforths, the main family were the leader throughout their lineage. Some myths said they are the founders of the village. It was a century-old story. Apparently, all of them have one common thing, if they are confused or lost to something, they rose their eyebrows up and lets a sigh out. Their hairs were blond like a lion's mane, their eyes were green like grass. Their blue robe matches the roofs of every building. 6 months later, on the day of September. The vegetables were growing very good, it was at the peak of their known history. The harvest was so great that their silos ran full. The villagers had more than enough supply for a long time. Their harvest festival was far greater than their previous ones. there were tents, they ate a lot and drank beer in great proportion. were so drunk from the morning and even continued to party after the others went to the bed. There was a lot of beer left, the harvest this year was too great. Again, the lion looked towards them from the forest. He left his usual smile out and burst in laughing too. Mostly towards the brats of course. At the dawn, the others except for the brothers still slept soundly. The brats were still awake, they sat on the bench, chatting to each other about life and everything. The lion walked towards them, "Why are you doing this. What's going on. I really like that, it made me laugh so much." The older one explained to him about the harvest. the lion surprised "Ohh, I thought you wanted food so I mended the fields, making the plants grow well. And I let more water flow through the aqueduct". The younger one let tears out, "W...why? Actually, we've never asked but what is your name?" The lion laughed and replied "Beaugarde. My name is Beaugarde." Many years later, the older ones passed out, the saddleforth grew to be adult, they bore children and of course, their hairs were yellow. The fathers became the elders and led the village towards its glory. Their fathers decided to give the village a new name, the brothers' proposition was accepted and it became Beaugarde City. They moved the comet under the fortress. The lion moved there as well. He walks every day on the streets and held conversations with his brother. They chatted in the open during the day. The villagers saw them like they are talking towards the air. It became their figure of speech too, "You're talking towards the air". It meant you're not normal. Gradually, the Beaugarde became a kingdom. The Kingdom they were attached went bankrupt, and they bought their land from them. Their banners were blue with a lion in it. The four Clans became the Four Pillars. The Wizardry, Merchant's Guild, The Chantry, and Gilded Lions. But the kingdoms around Beaugarde saw them rising, and their land expanded as well. But they didn't invade them, they obtained them through diplomacy and trade. The Merchant's guild was known throughout the world and the markets were filled with merchants from the countries far from them. The magic was studied intensely by the Wizardry, sometimes they assist them to safeguard the crystal comet from the outsiders. As the Guild's success, there were others that tried to oppose their success. The world was full of malicious figures. They heard about their comet and tries to steal it. They resorted everyone for this task. Like the thieves, or mercenary armies and even dark magic users. The Chantry had to deal with their necromancy. The Kingdom was almost wiped off from the disease they caused. As for the mercenaries, the Gilded Lion's army could defend themselves towards them. The Saddleforth Brothers roared through the battlefield. Their azure garb with golden ornaments. They were mighty and led the battles into victory. Frank, the younger brother married off into one kingdom very far away, they got separated. And Erwin was left behind and became a king. The lion stayed in the city and watched them over. Frank promised Beaugarde to come back 20 years later. The sieges were increased and they went in a war against bands of the mercenaries, The Brigands. In Frank's absence, their strength decreased and the King decided to lock the lion in the hidden door. He didn't want him to see the suffering, he definitely didn't want to witness him crying. The brigands' forces were so barbarous and the beaugarde City was nearly overrun, everyone was wounded and the King was tortured to tell him the location of the Comet. They continued to question "Where's the Lion?" The city suffered a lot from them and after days, the brigands gave up. They left some of them behind and walked towards another job. Suddenly a force arrived, they were not so big but they won against the small groups of bandits. They set their camp up in the forest with a blonde child watching over them. The group tried to rescue them, they save many people from dying. They also saved Erwin from the torture room, his hands burned, his body was full of cuts. He was on the verge of death. The group didn't understand them, but they went along to them. Their marshals were searching because the child asked them to find the lion of Beaugarde. But the child remained in the camp and waited for them to recover. The marshals were busy to save them. Erwin told them about the brigands and what they did to them but they didn't mention the lion. The doctors were busy to pull Erwin back to the bed but he still held festivities with the marshals anyway. The villagers were happy, they were so relieved that they were saved by them. The marshals saw the suffering of the city and how they were relieved and thankful for saving them. They decided to not ask them about the lion yet. When everyone was sleeping soundly, the sun rose up. It was dawn, and the boy decided to visit the village. The two marshals missed him when they were walking towards the city. Upon the arrival of Officers, they heard the boy was heading towards the village. They suddenly realize and panicked, one said: "What if the boy asked them about the lion!?" The other said, "Yes, we have to hurry and bring the boy back!". The two ran back to the village, searching for them. The bellboy saw the child, he startled and the tears dropped out. The child had blonde hair and his emerald eyes were so bright. He said, "I am Leonard Saddle..". Before he could finish his sentence, the bellboy began to cry and ran towards the bell tower. In a panic, he rang the bell and it screamed throughout the city. In the fortress, the Gilded Lions woke up, one was running with the horse. 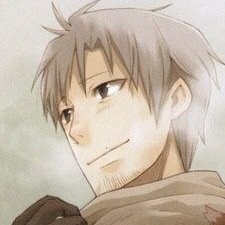 The other orders woke others up and rallied them to follow Erwin, everyone didn't know what happened but ran towards the main gate. Erwin rode on his horse along with Gilded Lions. Gilded Lions aren't only tasked to guard the city but the king personally as well. Behind the riders, the others were running as fast as they could. Some of them heard about the Saddleforth. The other three marshals that remained behind woke up as well and they heard from the others. They also realized about the situation and tried to run past them and hide the boy from them. When they arrived at the main gate. And started to look for him. The boy was nearly out of the forest before the marshals caught him. The marshals brought also their army along with them, they waited in the forest to save the boy if they found him. The boy was caught and the marshals tried to persuade him to not go. The boy let their usual sigh out with the raised eyebrow and said: "I'm going anyways.". Erwin and others saw him coming out of the forest, they recognized Erwin's golden hair and green eyes. He walked towards him and said "I am Leonard Saddleforth of the House Saddleforths. My late father is Frank Saddleforth and I am looking for the lion. Where's the Lion?" The villagers suddenly gathered and looked towards them. They recognized him because of the family trait. The Blonde hair and green eyes. They started to walk slowly towards them. It's still far from them but the army behind him ran towards the boy, they are trying to save him because they think the Beaugardians will attack him. Erwin and others were close to the boy, it was as if they were too late to save him. Erwin suddenly sat on the ground, he was crying. The others behind him as well. They felt so relieved. Erwin looked back at his torture and replied: "He is safe." The marshals stopped and knelt. Their eyes opened widely, they were so shocked. They realized that the rumors about the lion were actually true and they kept their mouth shut all the time during their defeat. The boy replied, "Oh yeah, he's safe." One marshal ran towards Erwin, his cheeks were filled with tears "Is that true, no one of you didn't tell... how was that possible? Your city was ruined and you were on the verge of death!" Erwin stopped with crying and smiled "The lion and we have been together from way back, we would never sell him out to other". Erwin asked Leonard about the other brother, the father of the child. The other marshal took over because the boy cried. He told him that Frank was killed because his wife wanted to marry another lord who is richer and wanted to kill the boy as well. The five officers and his retainers could escape, that is why they came to them before the promise Frank made. They led the boy towards the hidden door. Erwin opened the door and the lion was lying on the ground, his face looked tired, his eyes were swollen up from the crying. The boy walked towards the lion and asked "My father wanted to say he's sorry he could not meet you but his last words were "I really wanted to see the lion's smile once again" and died smiling. The lion cried again but in the end, he smiled. Along with Leonard's group, they repaired the city and returned into its former glory but the wife of Frank still wanted to kill the boy before he became an adult. Thus the Kingdom of Beaugarde still have to be on their guard and not only protect the lion but the boy as well. The Wizardry is the hub where the practitioners of magic collect themselves and share their thirst of knowledge. However, they are bound to the ethical value of the Kingdom. The magic shall not and never involve Death and Demonic powers. The Archmage is responsible to oversee them. Mages violating that value shall be reported and dealt with by the Chantry. The Archmage is to oversee the global education of the Kingdom. They hold the Holy power of the Kingdom. They harness the power of the Light and help the ones in need. The members of the Chantry are tasked to purge the unholiness, to help the Charity for the poor. They also hold weekly sermons for the most faithful residents of the Kingdom. The High-Priest(ess) is the one responsible for the sermon and leading the Charity. The Merchant’s Guild is a union between merchants, craftsmen, shopkeepers, farmers et cetera. Their purpose is to optimize the production and the merchant are responsible for selling them. They come together in the Guild Hall once a month and the mayor is tasked to host the meeting. Any disputes or disagreements are always solved by the vote. The Mayor is the leader of this Pillar. He isn’t only tasked to oversee the Guild but the town as well. 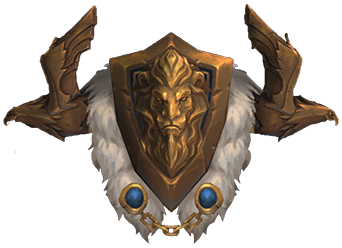 The Gilded Lions are hardened warriors of the Kingdom. With the spartan lifestyle, they’re to repel the invaders, to guard the King and oversee the peace within the walls and the outskirts. The leader is known as the Commander. Chancellors have a very light workload and are the sources of great information and power in the Kingdom. Chancellors pretty much have an unquestioned rule in the Kingdom within the Kingdom with few people able to question or counter their orders. Besides being a guardian, four of them are also bestowed to lead one of the Pillars. Guardians run the Kingdom on a day to day basis. Once a squire completed his apprenticeship and have shown their valor, the King will formally grant him an honorary title of Knighthood. The tasks that come from Knighthood depends on the orders. Some may have to guard the King directly, some can act as Mayor’s assistant, or become a teacher at the academy. Loyalists are the first among the Intermediate ranks of members. Loyalist becomes more enforcers. The Aspirant is a promoted recruit. When promoted, the aspirant can choose to join one of the four pillars or remain independent. A good machine has cogs doing their own tasks and works as a whole. I follow this same concept for this guild, which means I expect anyone taking a higher role to bear some responsibility for maintaining a good environment and ensure it's longevity. Their power is almost equal to the leader and has equal responsibilities. They are allowed to recruit, to dungeoneer and create events and to pass disciplinary actions. Once promoted to Loyalist, they are tasked to recruit new members, to send the guild announcement. (By the absence of this rank, the higher ranks may take this role over). They are also allowed to dungeoneer but it is not mandatory. They’re newcomers and are yet to be trusted with administration tasks. Everyone is free to suggest ideas, events and give constructive feedback. Don’t forget to remain the positivity. In order to implent the immersion aspect of the kingdom, I shall introduce an unique currency. When available, you can earn Beaugardian Florins by doing tasks such as guarding and maintaining peace during public roleplays, mission rewards, selling the loot you acquired from missions, or as a reward for mentoring a recruit. Adding OOC responsibilities of ranks and Beaugardian Florins.